I'm think about lowering my car.. but i don't know how much by, i've got 15" alloys and want the low euro look..
60mm ok? or can i go lower? or will it srub anway..? depends what ofset your wheels are? wheels are softstars.. thing offset ir 45 or 49 ain't they? want a nice low look.. all standard bumbers so not worried about tht srubbage but what abour arches? wont scrub. 60mm for looks. ok, but i can never find cheap sus, thats decent that lowers alot..
60mm mate will be enough. If you want a low look, i would recommend 60mm but be prepared for unconfortable harsh ride. 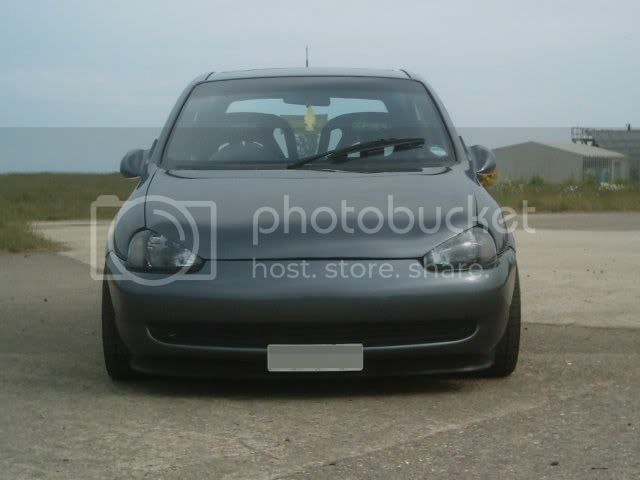 On coilovers you can play and toy with what ride height you want, this may be the best option for you..
Mines down 60, check the garage..
SA corsa - fk's dont go 120mm.....your front looks no lower than 70 - 80.....anything over 100mm is just stupid...the exhaust will rub the floor, the rear beam will nearly point upwards!!! john g id say yours is 60-70ish at the back......?? ?